You play a master thief living in a dark, sprawling city. A blend of gothic architecture and steampunk technology, the city contains great, belching chimneys, grand cathedrals, and medieval manor-houses. As a master of the shadows, you move through the city streets unseen, avoiding the eyes (and blades) of the city's thieves' guild, while doing jobs for the various political factions. Nobles, mages or the Church, it doesn't matter, as long as the pay is good. 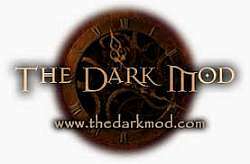 This was a 2009 total conversion for Doom 3 that turned it into a dark and moody stealth game inspired by the Thief series by Looking Glass Studios. They created a toolset with revamped gameplay, AI, graphics, HUD and weapons to allow fans to create missions in a gothic steampunk universe. It's primarily a toolset, allowing fans to create their own missions in a medieval steampunk environment. There are already 60 full missions for download, including some small campaigns, so it certainly feels like a game. The only difference is that you have to choose which missions to install and play. In October/2013 with v2.0, the game became standalone with all Doom 3 assets replaced with original ones.